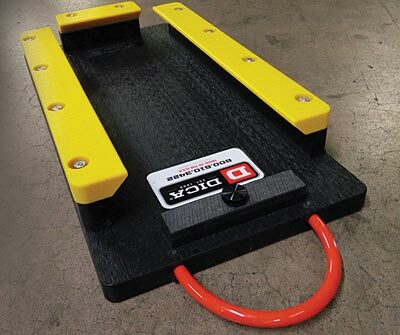 DICA’s SafetyTech Sliding Shoe Outrigger Pad was named as a finalist in the 2018 LLEAP Awards, presented by Lift and Access magazine. Together with an expert panel of judges, Lift and Access evaluated dozens of new and major product improvements to honor the most innovative and noteworthy introductions for the industry. Products were rated for their innovative features and technology, perceived value, productivity, and overall benefit. 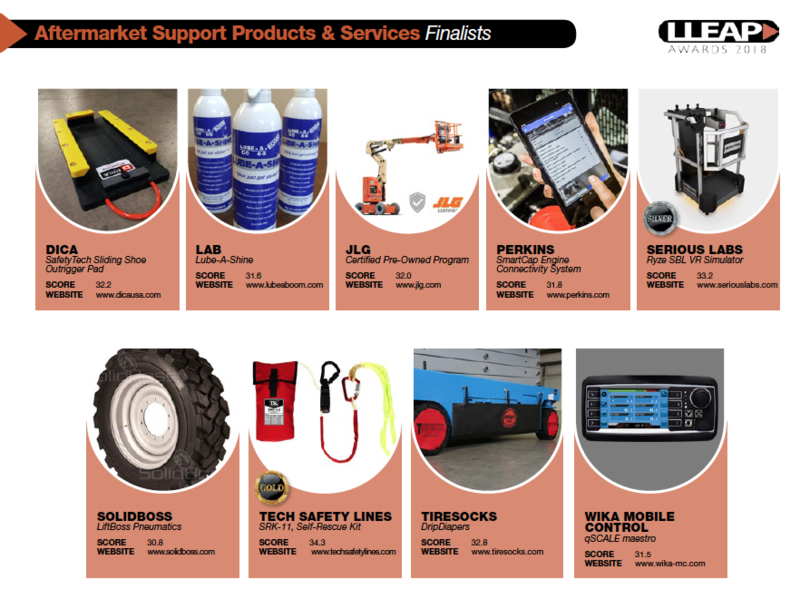 DICA’s innovative SafetyTech Sliding Shoe Pads were a top finalist in the 2018 LLEAP Awards. Sliding Shoe Outrigger Pads received a score of 32.2 out of 40. They are designed for equipment with multi-position, outriggers, found on mini cranes and compact track lifts. 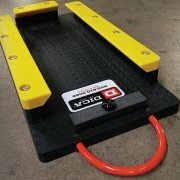 SafetyTech Sliding Shoe mini crane pads easily fit onto a stabilizer foot and lock in place. Equipment can be re-positioned or secured for travel without having to stow outrigger pads. Outriggers on mini cranes and compact track lifts can be positioned individually and in varying positions, making proper outrigger pad placement challenging. Sliding Shoe Outrigger Pads attach directly to the outrigger feet putting the outrigger pads exactly where you need them. Sliding Shoe Outrigger Pads allow outrigger feet to slide securely within the pad during set-up and positioning. This means less re-positioning for operators as the lift or crane is setup, improving safety and efficiency. See all the innovative products in the new Lift and Access ebook.